Do you want to monitor your blog’s performance on social media? 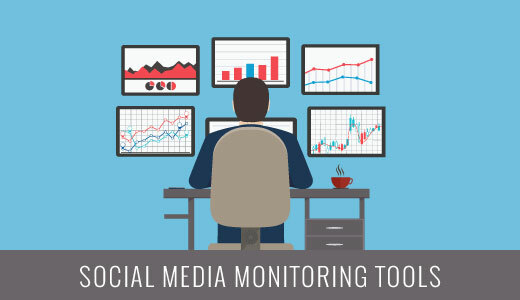 Looking for the best social media monitoring tools? In this article, we have hand-picked some of the best social media monitoring tools for WordPress users. While Google Analytics is mentioned in this article, most of these tools are specifically designed for social media networks like Facebook, Twitter, Pinterest, etc. 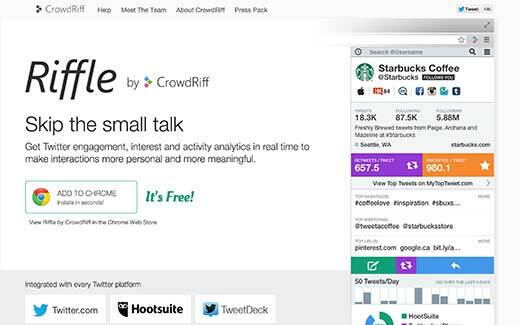 Here are the 21 best social media monitoring tools that you should consider. 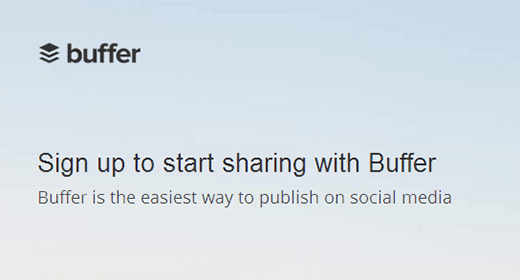 Buffer provides an easy way to share updates on your social profiles. It allows you to schedule updates for a whole day, week, or even a month in one go. Buffer also provides link shortening service and analytics, so you can see how your status updates are performing across your networks. Buffer is available on the web, as a browser extension as well as mobile apps for Android and iOS devices. 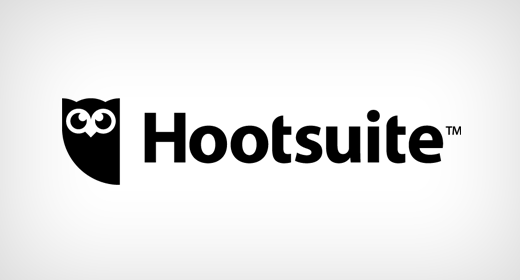 Hootsuite is the ultimate social media management tool for all type of users. 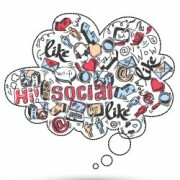 It provides an easy to use interface to monitor and manage all of your social media profiles from one single dashboard. It also allows you to add teams, so that your team members can respond to updates, comments, and tweets on your social media accounts. Hootsuite has built in link shortening and analytics service which allows you to monitor and gauge your social media performance. We use HootSuite for WPBeginner and our other companies. Google Analytics is the most powerful free analytics tool available on the market. Many beginners believe that it is limited to showing them their pageviews and popular content. However, Google Analytics can be very effectively used to monitor any links that you want to track. See our tutorial on how to track links in WordPress using Google Analytics. Facebook is the world’s largest social networking website. Facebook provides social plugins such as the like button, send button, and Facebook comments that you can integrate into your WordPress site to increase your reach on Facebook. It also provides a comprehensive analytics tool called Facebook Insights which gives you a deeper look into how your site is performing on Facebook’s platform. See our tutorial on how to get Facebook Insights for your WordPress site. Twitter provides its own analytics to all users. You can see how your tweets are performing, what kind of updates are getting more attention, etc. It gives you a monthly break down of your top tweets, mentions, profile views, and impressions. This helps you plan your strategy for Twitter. Tip: Using Twitter cards can increase your engagement level on Twitter. Pinterest also provides their own analytics tool which can help you track your site’s performance on Pinterest. You can see the performance of your pins and boards. It shows you clicks, repins, and general data about your audience. You can verify your website to see how it is doing on the Pinterest network. 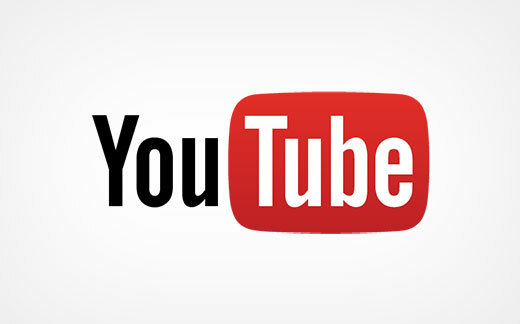 If you are a YouTube publisher, then YouTube Analytics is the perfect tool for you. It gives you detailed insights into how your channel is doing on the YouTube platform. You can see your views, demographics, and traffic sources all under one dashboard. It also shows estimated earnings from playbacks and total estimated earnings. You can also see other data such as how many minutes users watched a video, demographic data, and more. As the name suggests, Mention helps you find mentions of your username or brand on the social web. 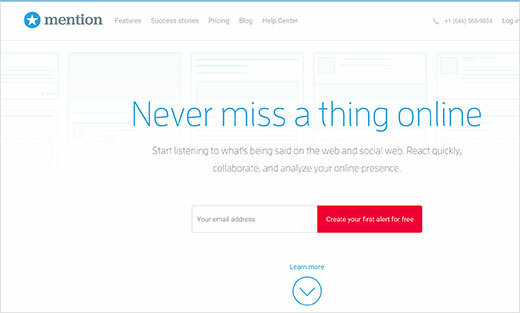 This allows you to quickly respond to customer queries, media, and blogs. It can show you real time statistics, send alerts, and display detailed analytics about your mentions across the social web. Mention is a paid service, but there is a trial option available for those want to give it a try. 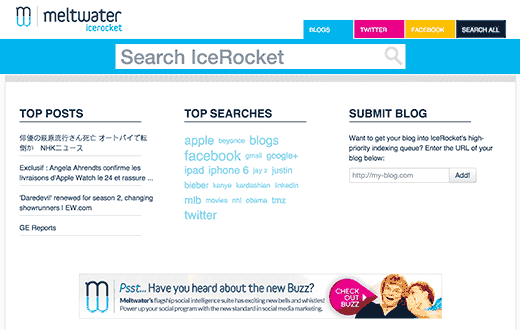 Metwater IceRocket is a social search engine which allows you to search social media for any keywords. You can selectively search Twitter, Facebook, blogosphere, or you can search them all at once. 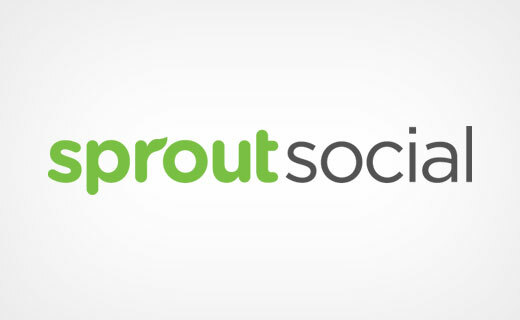 Sprout Social is a comprehensive social media engagement and analytics for marketers. It allows you to track your streams, engage in conversations, and see how you are doing on social networks. It shows you history of your conversations with anyone on Twitter. You can add teams and multiple accounts to be managed from a single dashboard. Sprout Social is a paid service with a free trial option available for those who want to give it a try. 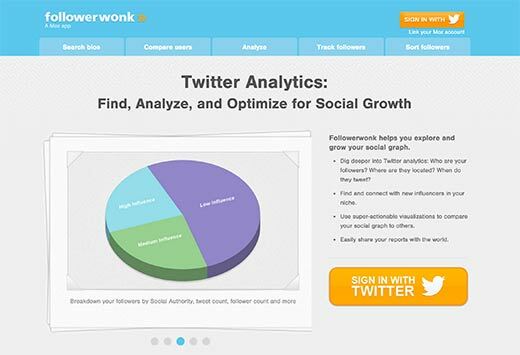 Followerwonk provides you insights into your Twitter follower. 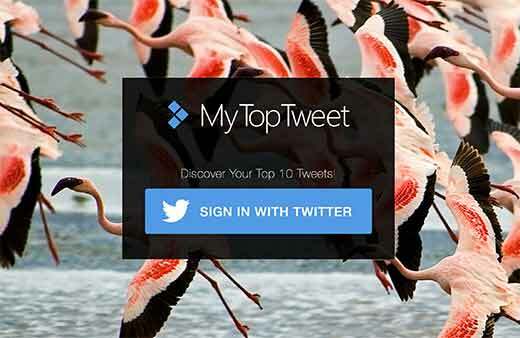 Simply login using your Twitter account, and it will show you information about your followers. You can search your follower profiles, analyze their tweeting habits, track, sort, and compare them. 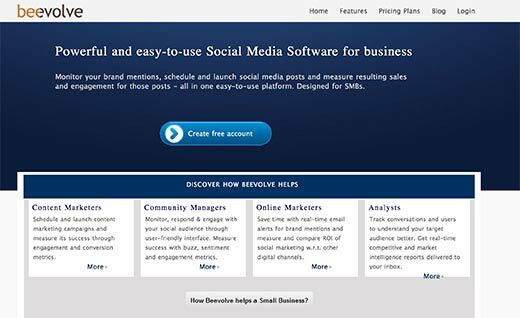 Beevolve is a social media monitoring tool for small and medium sized businesses. It allows you to monitor your social media mentions, schedule and launch social media posts, and measure resulting sales and engagement for those posts. 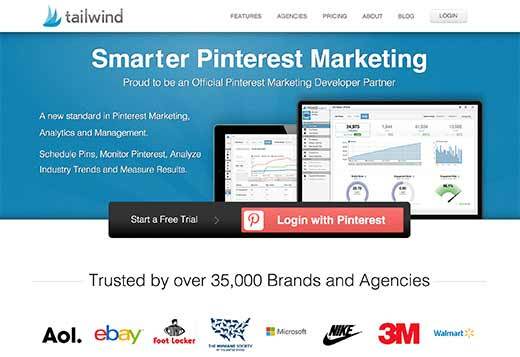 Tailwind is a social media monitoring designed specifically for Pinterest. It allows you to schedule pins, monitor analytics, see performance and trends across the Pinterest network. 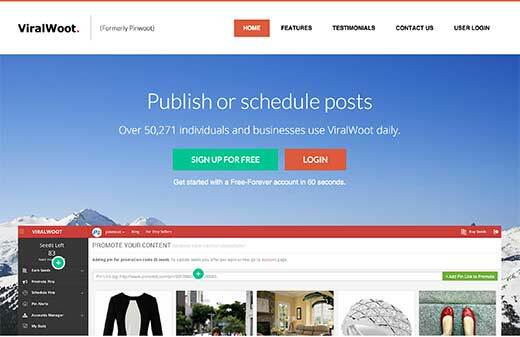 Viralwoot is another Pinterest focused social media marketing tool for small and medium sized businesses. It provides a platform to schedule, promote, manage, and grow your Pinterest accounts. 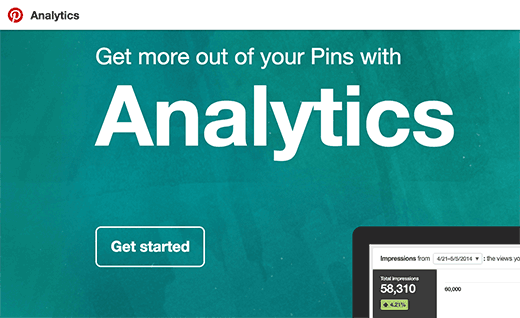 You can add multiple accounts and view the performance of your Pins using the built in analytics reports. 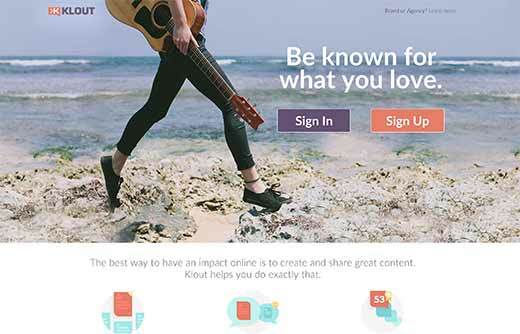 Klout helps you analyze your own and other user’s social media influence using Klout score. 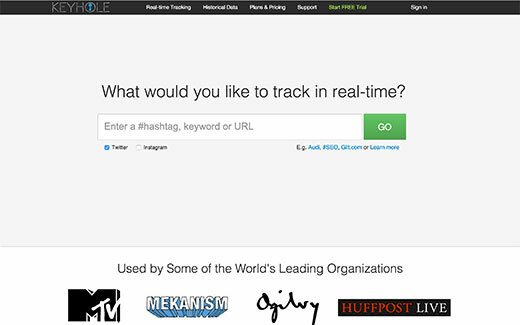 It is a social media monitoring and performance analyzing tool. Klout also offers Perks to experts in specific topics and areas of interests. 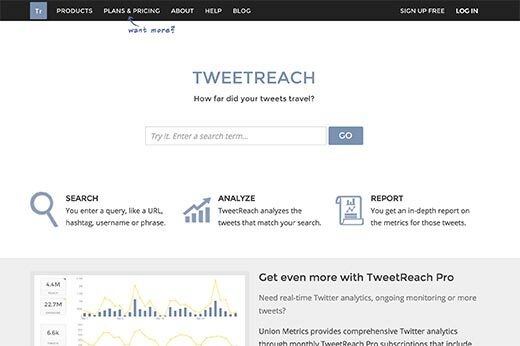 TweetReach allows you to measure the reach of your Tweets for specific keywords, hashtags, and search queries. TweetReach measures the reach using a number methods. The results show you the estimated potential of the tweets for your given query. 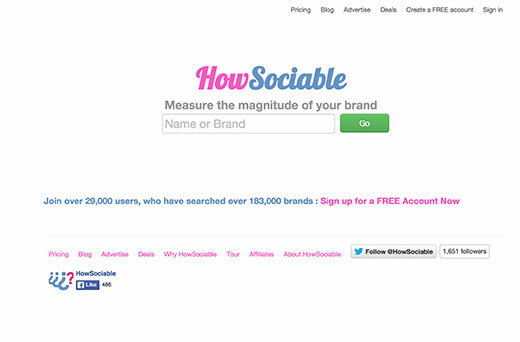 Measure the mentions of your brand or business across social media with HowSocialable. It is a simple tool that allows you to monitor how your brand is mentioned across different social platforms. 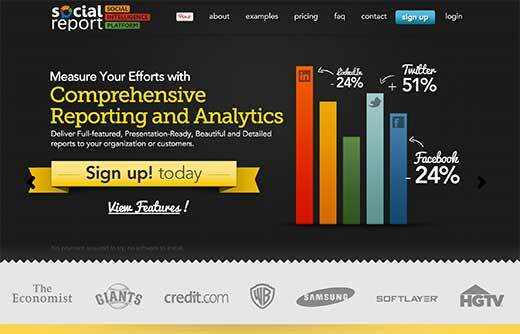 Social Report provides a comprehensive social analytics platform for small and medium-sized businesses. It also provides a platform to schedule and track your social media activities. Keyhole is a real-time social media tracking service that allows you to track Twitter and Instagram. Users can search using hashtags, keywords and URLs. All analytics are presented in an easy to understand visual reports. As the name suggests, My Top Tweet shows your best performing tweets. 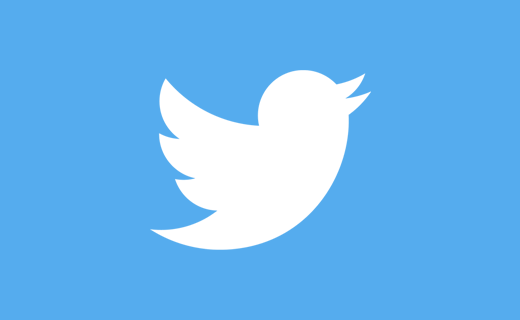 Riffle provides Twitter analytics, engagement, and tracking tools for everyone. It integrates with most popular Twitter platforms allowing users to easily add it into their existing social media activities. We hope this article helped you find the best social media monitoring tools for your WordPress blog. You may also want to check out our list of 7 must have social media plugins and tools for bloggers. Is there any word press plugin that can help track mentions on other sites. Thanks for the very informative website that you run; its great. I wonder if you have had a post in the past – or if not, would you like to do one – on how to install a button in a post/page to open pdf media. I used Google Docs Embedder, and am comfortable with using this for pdfs for opening pdf’s when the page/post opens. But would like to know how to install a button which, when tapped, opens the designated pdf? Please see our guide how to add buttons in WordPress without using shortcodes. Simply add a button and link it to your PDF file. Syed – We have a WordPress plugin called SkyStats that creates a dashboard right inside WordPress that displays Facebook Insights, Twitter Analytics, and Google Analytics data. You can find it in the WordPress Respository by searching “SkyStats”. Great list! I just wanted to let you know that when I clicked your link to Bevolve it worked fine but the page for their plans didn’t. Just kept getting “Webpage not available.